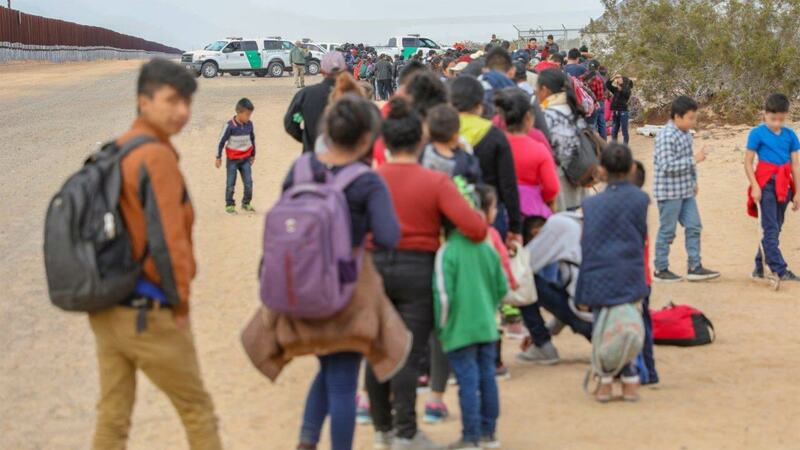 Border Patrol agents near Yuma apprehended 376 people — mostly families and children — who crossed the border on Jan. 14, 2019. 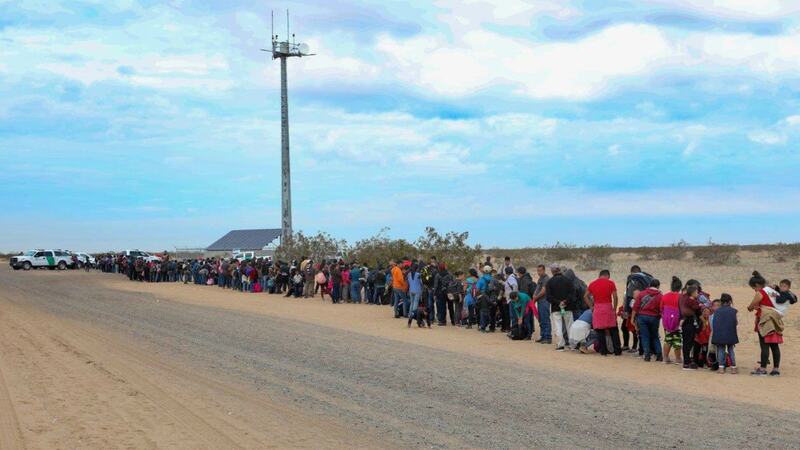 Videos and photos released by U.S. Customs and Border Protection on their Twitter page last Friday show migrants slowly walking along the border fence and waiting in line to be processed by Border Patrol agents. In the Twitter posts, CBP said 376 Central American migrants were apprehended on January 14 after crossing the border from Mexico in an area several miles east of the commercial port of entry in San Luis, Arizona. Nearly all of the border-crossers were families with children or minors traveling alone. The migrants reportedly crossed the border through seven tunnels dug in the sand under the steel bollard-style fence near Yuma in an area where the fence doesn’t have a concrete footer. Officials say this may be the largest group apprehended by Yuma Sector agents. Migrants who crossed the border near Yuma in tunnels under the border fence stand in line waiting for Border Patrol agents to process them on Jan. 14, 2019.